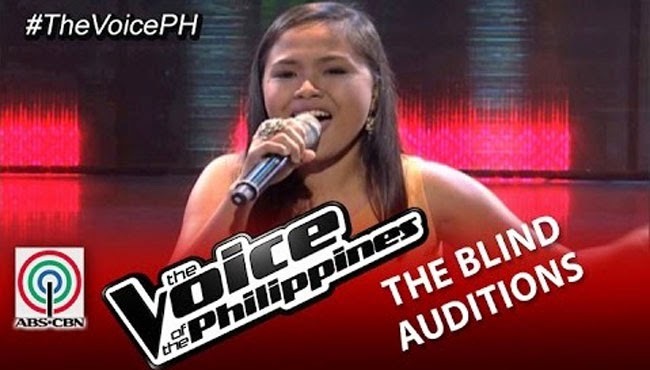 The Voice of the Philippines continues to find artist with guts and exceptional talent as they go on the sixth day of the Blinds Audition on November 16, 2014 and gave a chance to internet sensation Alisah Bonaobra to try out on the stage of the most prestigious singing competition in the country. Alisah and her family tell the story of how hard they had to sell as street vendors to survive. Having a scholarship in her collage with the course Bachelor in Music Major in Voice, Alisah had to work hard and join singing competitions to help her family. Alisah Bonaobra became famous in a viral video posted by a Danish national where she can be seen singing ‘Let It Go’ in a Robinson’s mall Manila. She soon had to sacrifice her scholarship after having a conflict with a competition and her school. She shared that she is willing to do everything it takes to give her family a better life and future. Singing ‘Domino’, she tries to puor her emotions and drive to win the coaches’ heart. Lea and Sarah turned together closely followed by Apl De Ap. They all seemed to feel the song, beat and swayed to the music. Bamboo was trying to find where she will be able to take the song but felt that the artist fell short of his expectations. Lea said that she regretted not turning to Darren Espanto as he had sung the same song in The Voice Philippines Kids Edition and then promised herself not to let go of the chance once again, making her turn when she heard the artist’s song. Sarah said that it had seemed effortless for her to reach the high notes. Apl De Ap even used crowns to make her realized who is the royalty of RnB. She picked Apl De Ap knowing that Apl will help her reach her dreams. He gladly walked over to her still wearing the crown which made everybody laugh.